Making the leap from working a day job and playing music on the side to becoming a full-time musician can be both a validating and terrifying experience. Winooski-based singer-songwriter Erin Cassels-Brown recently took the plunge after a career in carpentry and solar panel installation. Fortunately, he's in high demand. If you peruse local club schedules, you'll see his name listed at venues all over the state. Aside from performing solo, he's a member of the newly assembled local rock supergroup the Welterweights. Previously, he performed with Burlington's Little Slugger and now-defunct projects the North End Honeys and You Know Ono. The songwriter appears on records from all three, but Northern Lights, Vol. 1 is Cassels-Brown's debut as a solo artist. 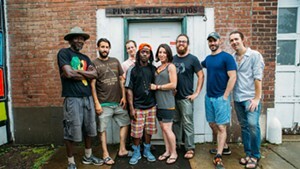 Madaila's Willoughby Morse produced the EP at his studio, Future Fields, and provides all instrumentation other than Cassels-Brown's guitar. The 22-year-old writes and sings with weariness more common to someone who's carried life's burdens for many more years. But a sense of contentment balances his grim folk and country ballads. Cassels-Brown takes influence from greats such as Bob Dylan and Willie Nelson, both in his precocious lyrics and grizzled delivery. Cassels-Brown's former North End Honeys bandmate Hannah Fair provides fierce harmonies on "Athena," the EP's opener. The simple strummer finds Cassels-Brown taking emotional stock of bygone romances and life choices. As the song unfolds, synth strings and layered lead guitar envelop the duo's intertwined yearnings. "Virginia, Bring Me Light" drips with reverb and glowing, airy choir. A finger-picked guitar melody treads lightly under a chorus of Cassels-Brown's voice as he sings, "All my friends / Keep telling me the skies will clear / Might be blue skies somewhere / But they're sure as hell not around here." While his defeatism is obvious, the song's lightness and brevity make it feel like a passing cloud. "Bad Bad News" shrugs off the EP's melancholy aesthetic but remains in line with the songwriter's country-western lust. A chicken-pickin' guitar line bubbles over shuffling drums, giving way to loose hi-hats as he careens into the chorus: "Bad bad news / That much I know / And I never give love enough time to grow / So we're burning too fast / Like a firecracker ready to blow." The song is straight out of a Texas county fair; you can almost hear unruly yahoos shouting "yeehaw" as it blares from an ancient, outdoor PA system. Northern Lights, Vol. 1 is but a taste of Cassels-Brown's repertoire. In fact, this selection comes from the back end of his oeuvre, penned when he was still installing solar panels. His dynamic vocal presence and insightful prose suggest he was ready to be a full-time troubadour even then. Northern Lights, Vol. 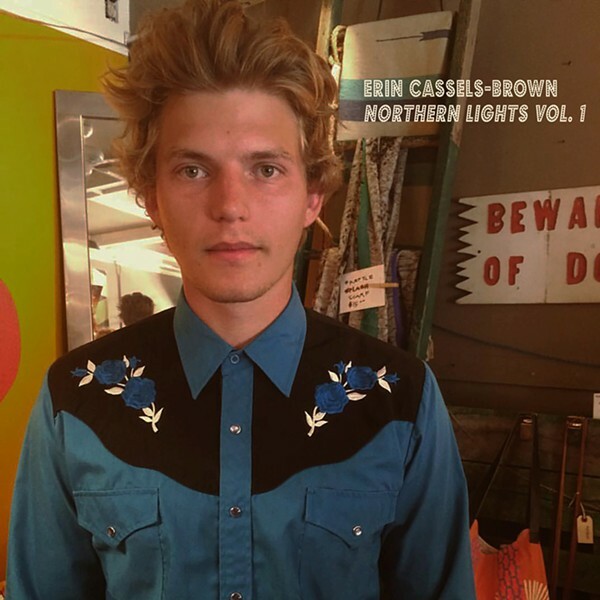 1 by Erin Cassels-Brown is available at iTunes. He plays every Tuesday at Hatch 31 in Bristol.